Fibaro Flood Sensor – futuristic design, compact size, and a wide variety of additional functions. Fibaro Flood Sensor is simply remarkable! This unique device can guard you and your family’s safety. With its advanced technology and precision, the Fibaro Flood Sensor will alert you of a threatening flood, or a rapid temperature rise or drop. All while being maintenance-free without the need for professional installation. 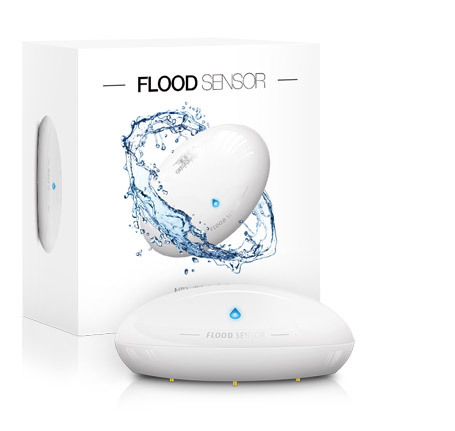 The Fibaro Flood Sensor is the most technologically advanced, most functional, yet amazingly aesthetic flood sensor available in the world today. Before design process started, Fibaro engineers tested most of the battery powered flood sensors offered. None of them met our expectations. That's why we started working on our own design, meeting high expectations of our customers. That's how the Fibaro Flood Sensor was born - a flood sensor equipped with new technology providing safety for you and your family. 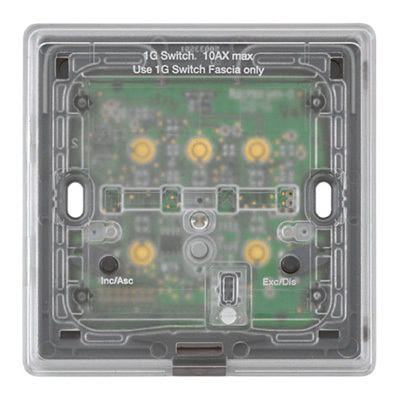 All of wich closed in a miniature, compact enclosure.